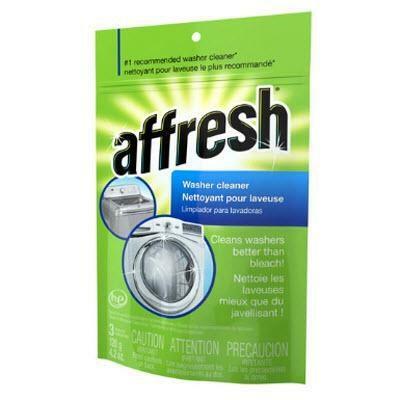 The Affresh™ washer cleaner removes and prevents odor-causing residue that can occur in all brands of HE washers. While bleach only kills odor-causing bacteria leaving behind the detergent residue, Affresh™ Washer Cleaner uses surfactant chemistry to remove the root problem. 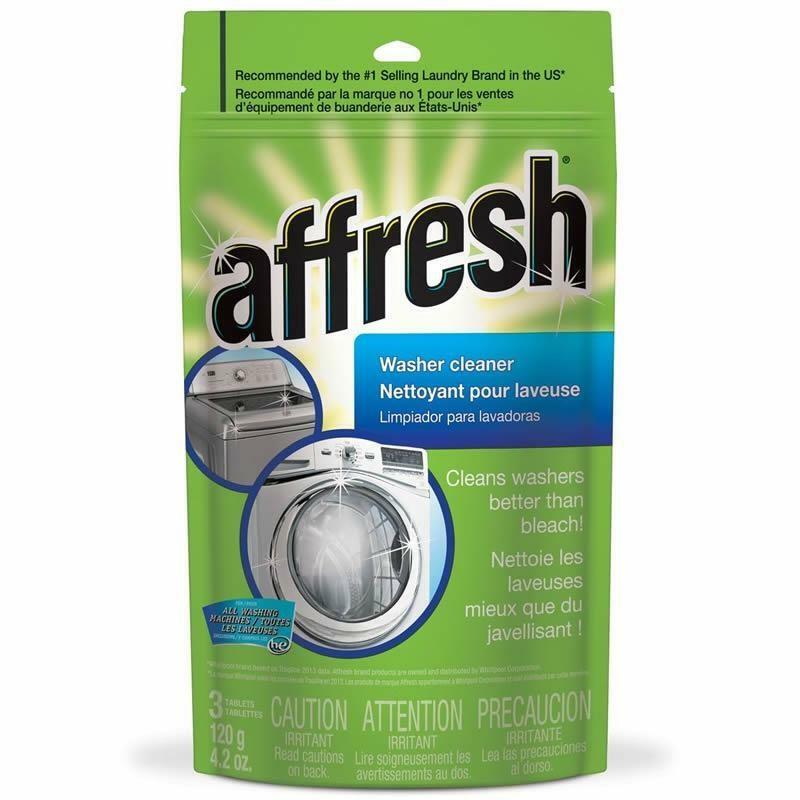 Affresh™ cleaner is a formulated, slow-dissolve, foaming tablet that gets under residue, breaks it up, and washes it away leaving the washer smelling fresh and clean.